Without further ado...in this video, Christian Slater explains why printer security MATTERS! Your printer is an essential piece of equipment, but it's easy to forget about it until you actually need it (or it stops working). These fringe devices, or peripherals, can pose the greatest security risk because, even though they're now essentially mini computers with sophisticated computing capabilities, they're not usually managed with nearly the same security protocols and standards as other devices and networks. For this reason alone, they're an appealing target for hackers and other attacks. 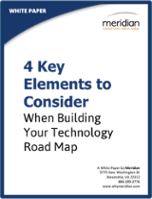 "Don't overlook the role printers play in your network security." 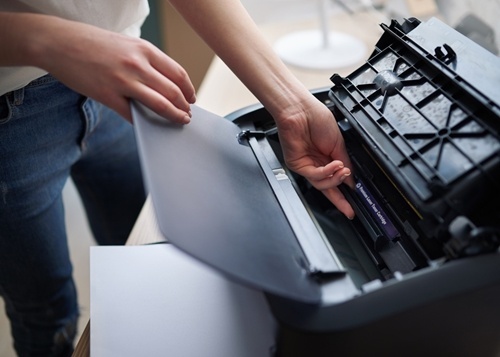 According to SC Magazine, one research study found that 63 percent of businesses reported experiencing at least one data breach that could be attributed to a printer. There are a wide range of factors that come into play when it comes to printer security. For example, the source revealed that some of the top reasons contributing to the issue include employees with risky printing habits, unsafe disposal of sensitive documents (not shredding the material or leaving paper in tray) and underestimating role of printers in network security. If any of these factors resonate with you, you may also be interested in reading How to Securely Print Confidential Documents Without Your Own Personal Desktop Printer. Print devices should be protected through a number of security controls, including user authentication safeguards, hard drive encryption and clearly defined security protocols and policies. For a brief overview of some relevant solutions, you can check out this simplified intro slide deck on print fleet management software solutions. Also, keep in mind that it's not just the devices themselves that are a concern, but the documents and the information they contain. You need to control not only who is able to access the printer network, but minimize the chances of documents and data falling into the wrong hands. As technology continues to advance and computer networks grow bigger and more complex, more robust and sophisticated print security solutions are needed to manage all connected devices. Working with a managed print services provider can help give you the full visibility your organization needs for comprehensive printer monitoring, maintenance and security. Contact us to learn more about print management solutions, or request a complimentary assessment.